The annual RetroJumble, organised by the Brooklands Trust Members, returns to Brooklands. Last year there were over 80 stands selling everything from vintage clothing to motoring memorabilia and car boot jumbles. And now there is the BTM Classic Car Show on the same day to fill the Museum site with classic vehicles of all ages. The show is open to anyone with a classic, vintage or veteran vehicle and there is discounted Museum entry for advance booking with a classic vehicle. 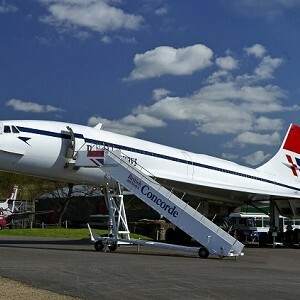 (Brooklands Trust Members free). Car clubs are welcome. All cars will be judged and prizes awarded in three categories.